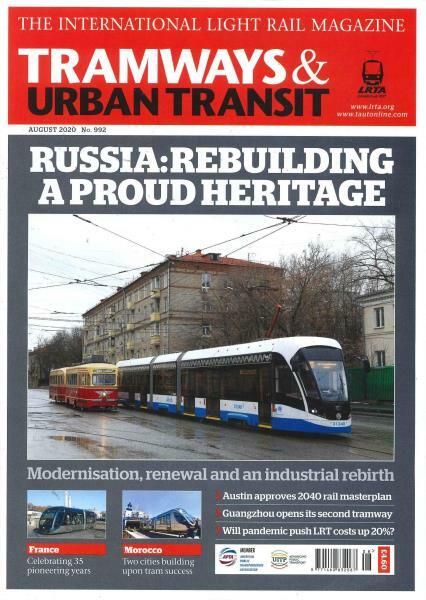 Tramways & Urban Transit Magazine is dedicated to developing the urban and light rail industries. After 75 years, the magazine is still catering to the needs of national and local transport authorities, transit operators, transit planners, manufacturers of transit systems, and those campaigning for better public transport in cities and towns. This is the one essential read for those who make decisions and for that influencing government policy. Receive groundbreaking news about new tramways. Track the progress of manufacturing and installing these new systems. Schedule tours and visits with the contractor at a tramway to get updates on the new technology being installed. Never miss new proposal opportunities. Receive bidding opportunities first from the highly regarded authority on tramway and urban transit systems - Tramways & Urban Transit. Current bidding projects are listed in each issue of the magazine, or get the news of who was awarded a bid.